Abu Dhabi state-owned investment company Mubadala earned a first-half profit of Dh851.5 million ($231.83 million) compared with a loss of Dh1.2 billion for the same period last year, it said in a statement on Thursday. The fund, which has stakes in General Electric and private equity firm Carlyle, attributed the performance to lower impairment losses and higher revenue at its key businesses. 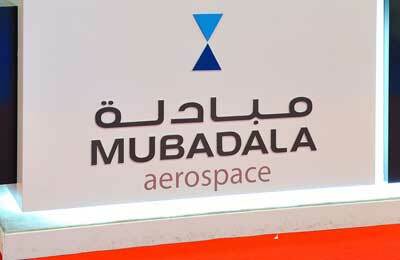 Unlisted Mubadala, which earlier in the year bought a $2 billion stake in Brazil's EBX Group, saw its revenues rise by 18 per cent to Dh16 billion from Dh13.5 billion in the year-ago period, driven by revenues from GlobalFoundries, Mubadala Petroleum, Mubadala Aerospace assets, and Yahsat, the statement said. “Against a backdrop of global economic volatility, our interim financial results demonstrate ongoing delivery against our mandate,” said Khaldoon Khalifa Al Mubarak, Mubadala CEO and managing director. Operating income grew to Dh2.2 billion for the period compared to Dh402 million for the first half of 2011. This increase was driven by contributions from GlobalFoundries as well as increases in income from investments in equity accounted assets, Mubadala said. Total income increased to Dh1.1 billion for the first half period compared to Dh198 million for the same period last year, driven by a combination of increased operating income, improvements in the fair value of investments and lower impairments, according to the statement. Results were also boosted by a drop in losses on financial investments which fell to Dh771.6 million from Dh929.3 million in the year-ago. Impairments on property, plant and equipments was negligible at Dh9.4 million against a figure of Dh353.8 million for the year-ago period. Asset base grew by Dh10 per cent to Dh195 billion in the first half of 2012, Mubadala said.